leaf blades with revolute margins, aments coetaneous, and capsules 2-4 mm long(vs. S. planifolia, with leaf blades with plane margins, aments precocious, and capsules mostly 5.5-6 mm long). Salix chlorophylla Anderss. var. nelsonii (Ball) Flod. 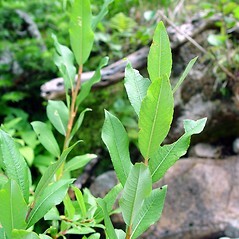 Salix planifolia Pursh var. nelsonii (Ball) Ball ex E.C. Sm. 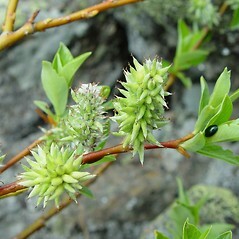 Our subspecies is Salix planifolia Pursh ssp. 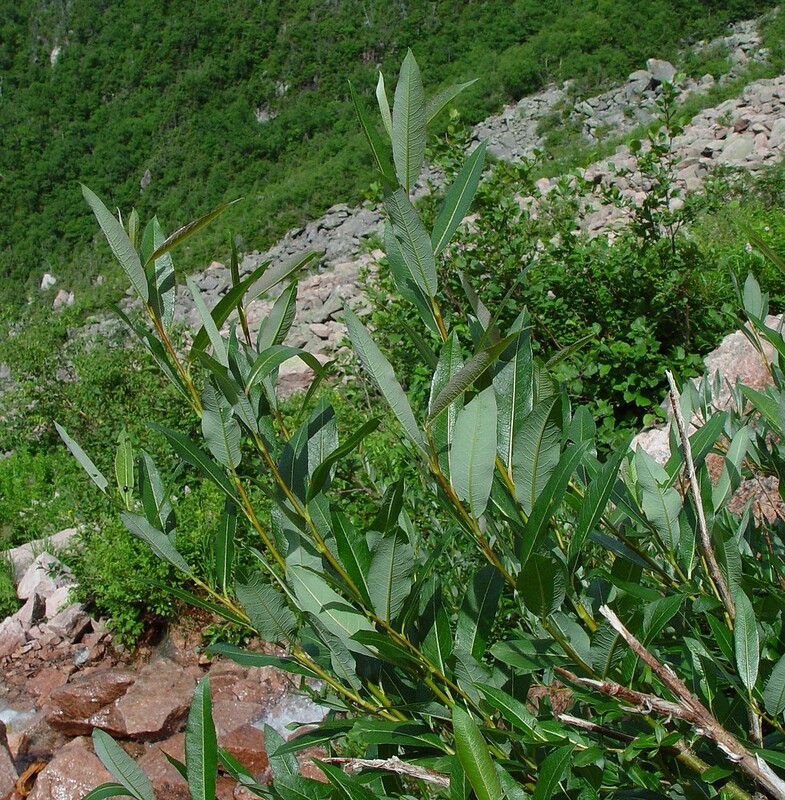 planifolia. 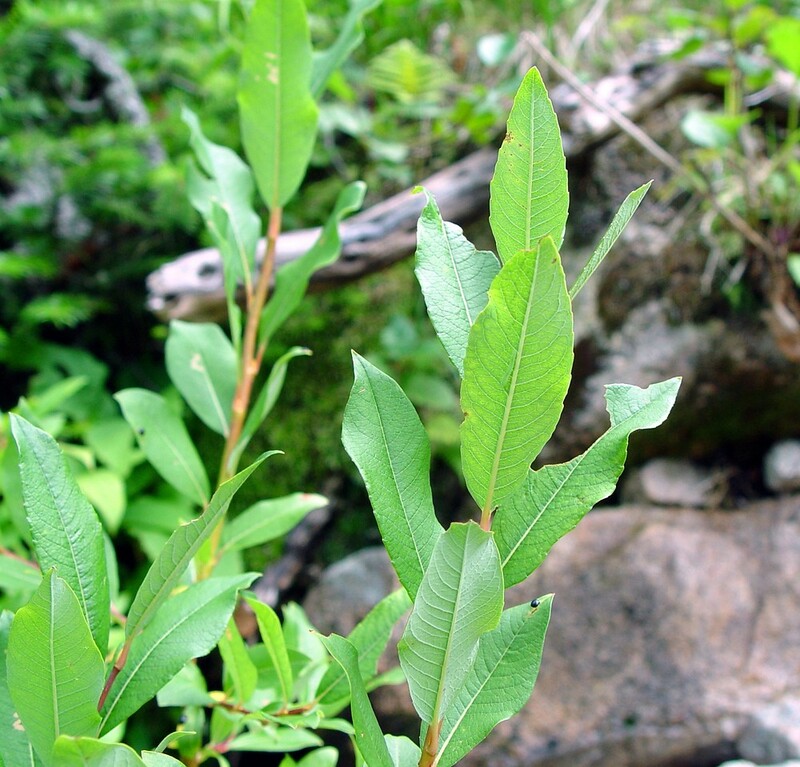 tea-leaved willow. 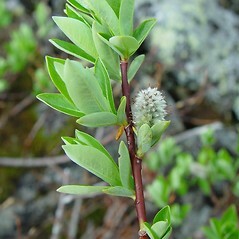 Salix chlorophylla Anderss. ; S. chlorophylla Anderss. var. nelsonii (Ball) Flod. 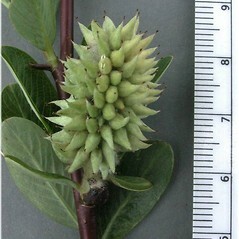 ; S. nelsonii Ball; S. phylicifolia L. ssp. planifolia (Pursh) Hiitonen; S. planifolia Pursh var. nelsonii (Ball) Ball ex E.C. Sm. • ME, NH, VT. Tarns, brooksides, ravines, seeps, cliff bases, and talus in alpine areas. 4×24. 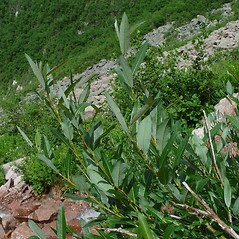 Salix argyrocarpa × Salix planifolia → Salix ×‌grayii Schneid. 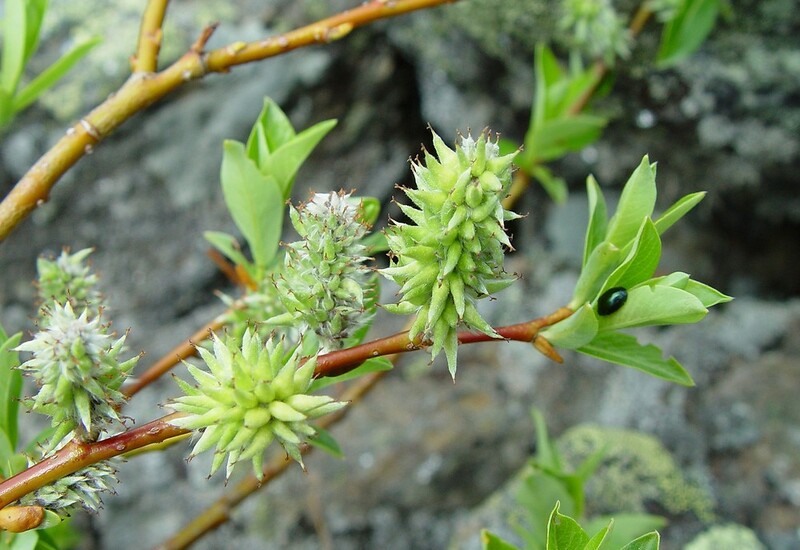 is a very rare willow hybrid known only from Mount Washington, Coos County, NH, in New England. 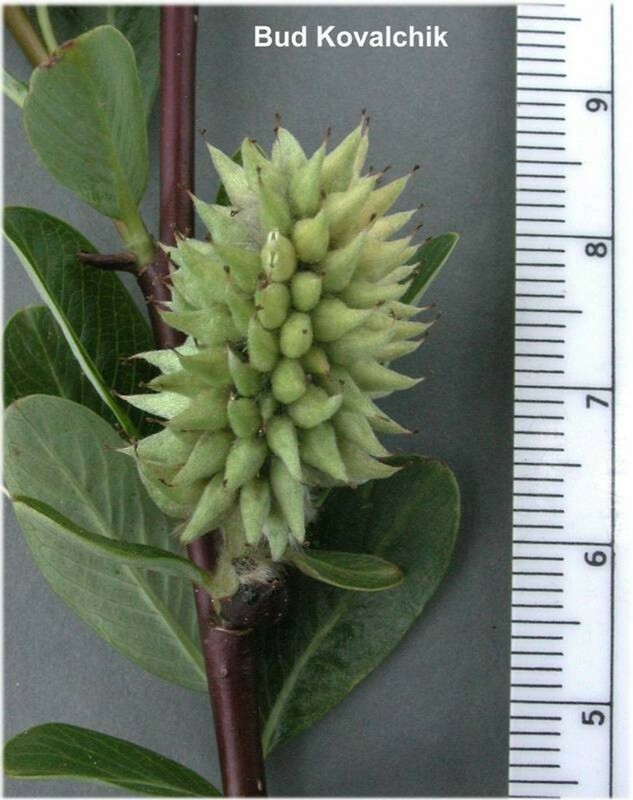 It differs from S. argyrocarpa in being more robust, frequently with glaucous branchlets (later in season), and broader leaf blades that have sparser pubescence. From S. planifolia the hybrid differs in its revolute leaf blades and red to purple styles (those of S. planifolia are ± yellow).